Widely quoted comments by China’s ambassador to Seoul don’t indicate plans for Kim Jong-un to visit China. Speaking at a forum, Qiu Guohong denied speculation that the China-North Korea relationship has been strained in recent years. According to Yonhap, Qiu said that the two countries continue to have a normal relationship. Qiu added, “I think that a visit by North Korean leader Kim Jong-un to China is likely to be made down the road.” When asked about Qiu’s remarks at a press conference, Chinese Foreign Ministry spokesperson Hong Lei said he had “no relevant information to give” regarding a visit by Kim Jong-un to China. Qiu’s remarks don’t indicate that there are concrete plans for Kim to travel to China — in fact, the use of qualifiers like “I think” and “likely” indicates that such a visit remains merely a possibility, not a certainty. Last December, Chinese state media called for Kim Jong-un to visit China “as soon as possible, which will benefit the North’s long-term stability and bilateral friendly ties.” Nine months later, speculation continues on when Kim will make his first official visit to China, which would also be his first visit abroad since assuming power in North Korea. Chinese officials as well as state media continue to insist that the bilateral relationship is friendly and normal, but analysts point to the lack of top-level exchanges as evidence that all is not well. Not only has Kim Jong-un not visited China since taking power in 2011, but Chinese President Xi Jinping has not visited North Korea since he assumed office in 2013. In fact, in July 2014 Xi broke precedent by visiting Seoul before Pyongyang, a fact that many interpreted as a sign of trouble in China-North Korea ties. The lack of official state visits between China and North Korea is especially noticeable compared to the number of exchanges under Kim’s father, Kim Jong-il. The elder Kim visited China seven times during his time as North Korea’s absolute leader. Noticeably, though, Kim Jong-il’s first visit to Beijing came in 2000, six years after he assumed power. The frequency of visits then picked up rapidly toward the end of Kim’s life, culminating in three visits between May 2010 and May 2011. Kim Jong-il was reportedly accompanied by son Kim Jong-un on an August 2010 trip to China, in a clear indication that Kim Jong-un was his father’s favored successor. Kim Jong-un’s absence from China seems notable compared to the frequency of his father’s trips, but it’s important to note that the spate of visits during Kim Jong-il’s final years was the exception, not the norm. Beijing is believed to have extended the series of invitations as a sign of support for Kim as he neared the end of his life — China’s way of bolstering the stability of the regime in preparation for a transfer of power from father to son. Kim Jong-un has been in power for less than three years; the fact that he hasn’t visited China in that time is not in and of itself unusual. However, the lack of state visits between China and North Korea becomes more interesting when put into a larger diplomatic context. Just before Xi assumed the office of China’s president, Pyongyang carried out a nuclear test, reportedly defying Beijing’s warnings not to do so. China’s stern reaction led to speculation that Xi might want to take a different approach to China’s northeastern neighbor. Kim Jong-un’s decision to execute his uncle, Jang Song-thaek, in December of last year was another sign of cracks in the relationship. Jang had been the major intermediary between the new Kim regime and Beijing. At the same time, Xi Jinping has unleashed a diplomatic charm offensive aimed at South Korea, Pyongyang’s nemesis. Xi’s visit to Seoul in July 2014 was a high-water point of cooperation between Beijing and Seoul, sparking discussions about a possible alliance relationship between the two. For China, South Korea is a useful partner for legitimizing Beijing’s concerns about Japanese militarism; Seoul shares some of the same concerns, particularly about Japan’s approach to its wartime history. 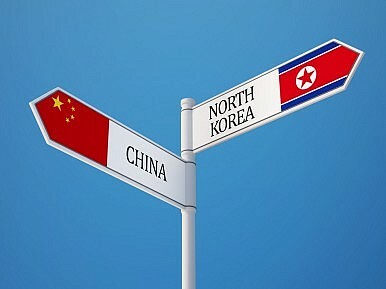 Beijing would also be delighted to pry Seoul away from the U.S.-Japan-South Korea alliance axis. Given that North Korea remains Seoul’s biggest security threat, each time China is seen cozying up to Pyongyang it dents the possibility of deepening the strategic relationship with South Korea. An invitation for Kim Jong-un to visit China would have to be handled carefully lest it damage the China-South Korea relationship. Beijing might be waiting for more signs of rapprochement between Seoul and Pyongyang before inviting Kim for a visit. Long-awaited family reunions between North and South Koreans in February were a positive sign; exchanges of fire between North Korea and a South Korean corvette in May not so much. At the same time, while Beijing does not want to anger South Korea, it may also be concerned about losing influence in Pyongyang. Japan in particular has been active recently in reaching out to North Korea. Pyongyang is preparing a report on Japanese abductees; if Tokyo is satisfied by the report, it could reduce sanctions on North Korea. Should Japan-North Korea relations continue to thaw, Beijing might be tempted to invite Kim Jong-un for a visit to reassert its own influence in Pyongyang. With so many complex factors to consider, it’s no wonder China is biding its time on a potential Kim Jong-un visit to Beijing. When it comes to the China-North Korea relationship, even a “normal” state is fraught with geopolitical calculations about the perils and benefits of distancing vs. joining hands. The original meaning of “snafu” is a good fit here. Ambassador Qiu is correct that “a visit by North Korean leader Kim Jong-un to China is likely to be made down the road” — but how far “down the road” is another question entirely. Beijing and Pyongyang signal a return to a the sort of close relationship enjoyed under previous leaders. What the Arrival of North Korea's ‘Special Train’ in Beijing MeansChina Refuses to Condemn North Korea’s New Missile LaunchWhy China-North Korea Relations Can’t Be BrokenWhat China and North Korea Really Think of Each OtherCan Beijing and Seoul Become Strategic Partners?